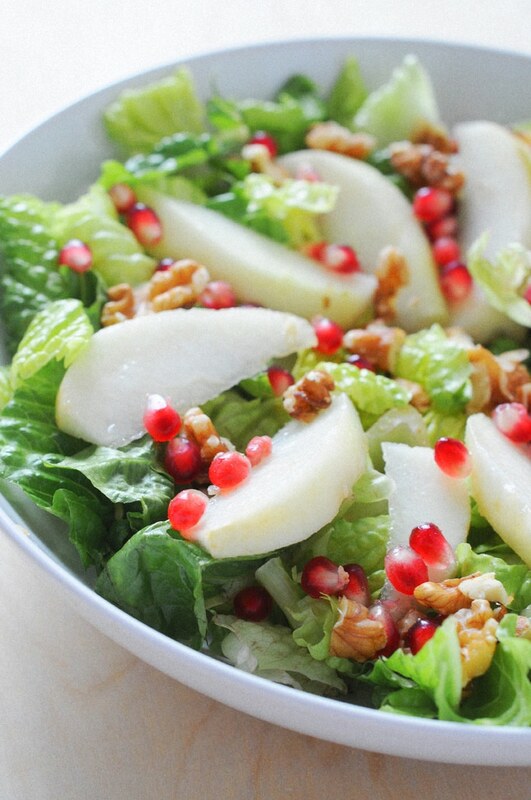 Pear and Pomegranate Salad with Champagne Vinaigrette is a simple seasonal salad for fall. 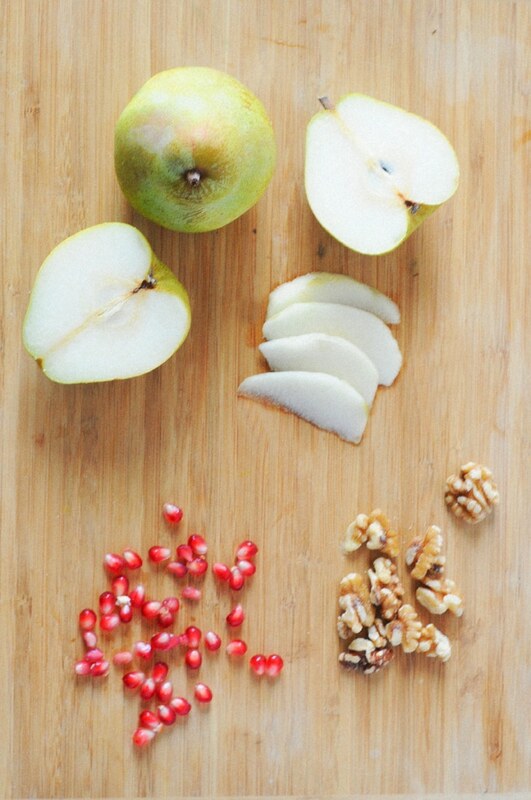 As pears fill the grocery store and soon you will hear the famous song “a Partridge and a Pear Tree on the Twelve Day of Christmas.” Beside singing that Christmas song out of tune every year, I look forward to enjoying the sweetness of this seasonal fruit. Yes, pears are in season this time of year and where cultivated by the Romans. This is probably why pears are a staple food in Europe which are commonly served with cheese and bread. While I was in France, we ate pears in cakes, along with cheese platters and of course liquor for a perfect dessert drink. As I looked up where do pears grow, I was surprised to see that 98 percent of domestic pears come from California, Oregon, and Washington. Which makes them cheaper to buy in the grocery stores for lack of import. 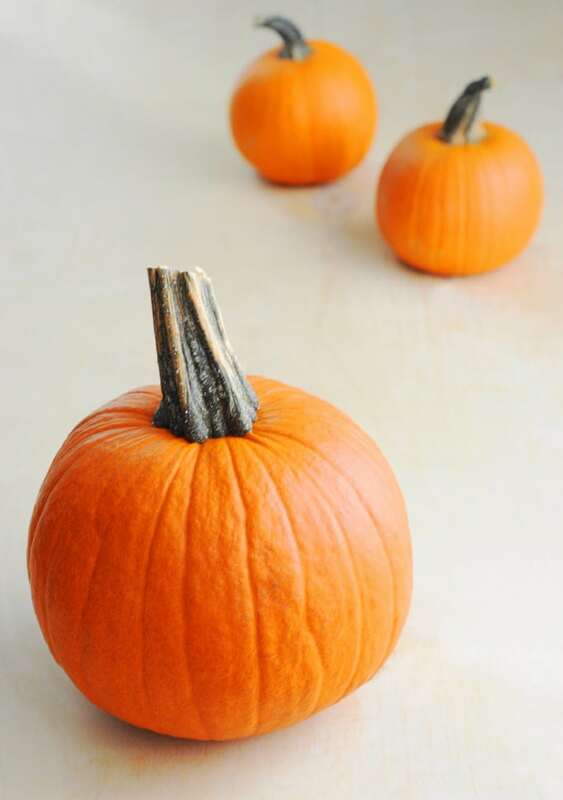 They are in season from July all the way through January. 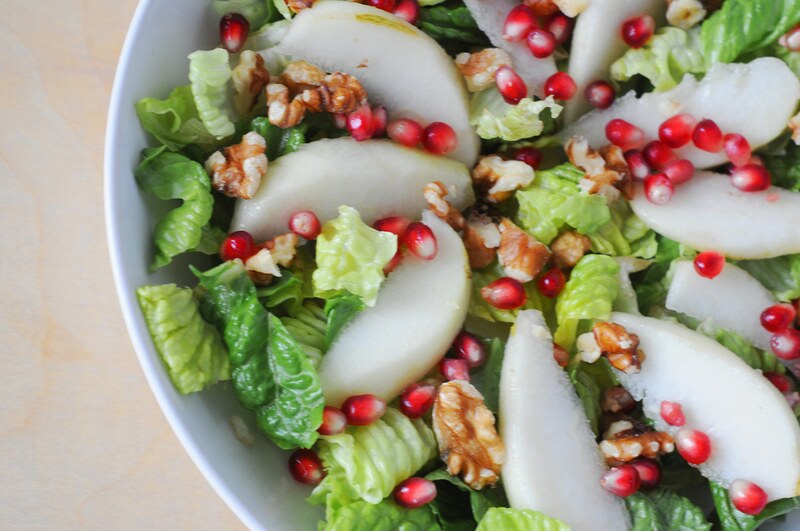 I prefer my pears plain or in a salad with a wonderful vinaigrette to top it off. To my surprise this October, I received a wonderful gift from a friend. It was a box of Royal Riviera Pears from Harry & David. So as soon as I received it I decided to make this wonderful salad that we had for dinner the same night. 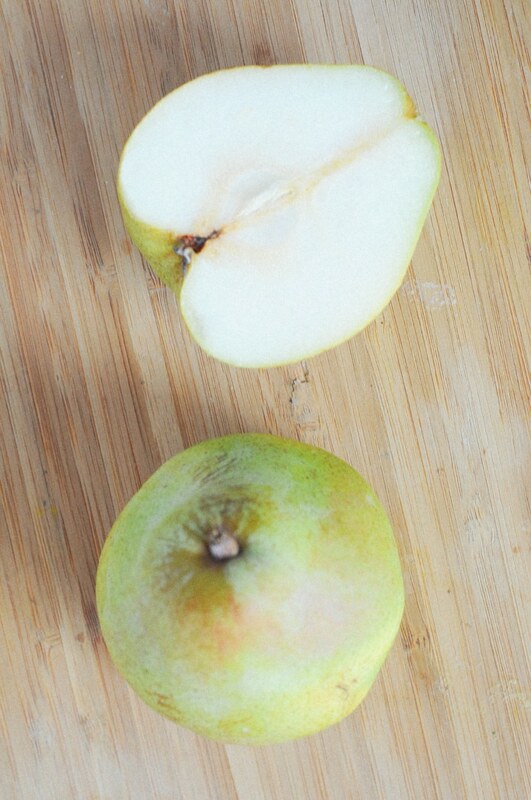 Thank you to my wonderful friend, who was right, they are the sweetest and juiciest pears from Harry & David. 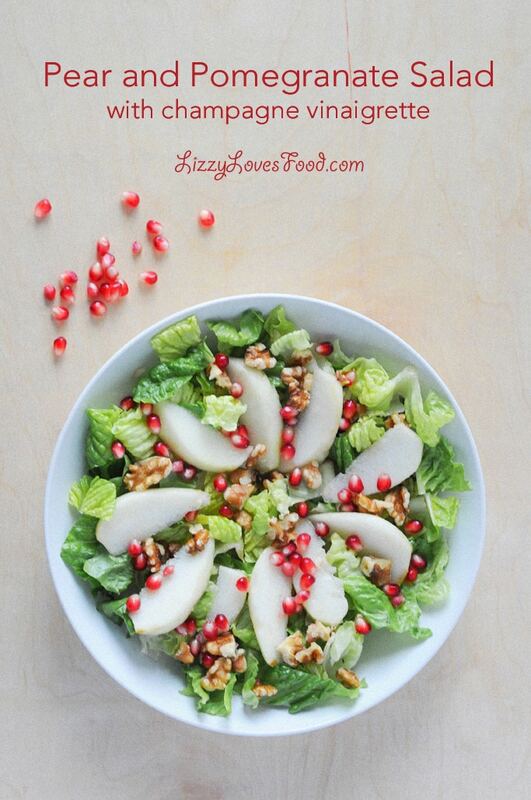 Pear and Pomegranate Salad with Champagne Vinaigrette is a simple seasonal salad for fall. 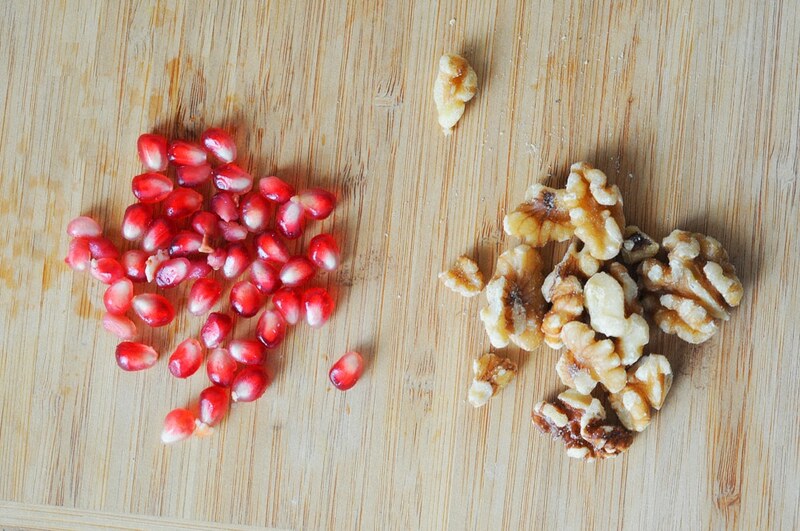 Peel and slice your pears. Wash your lettuce and dry in a salad spinner. 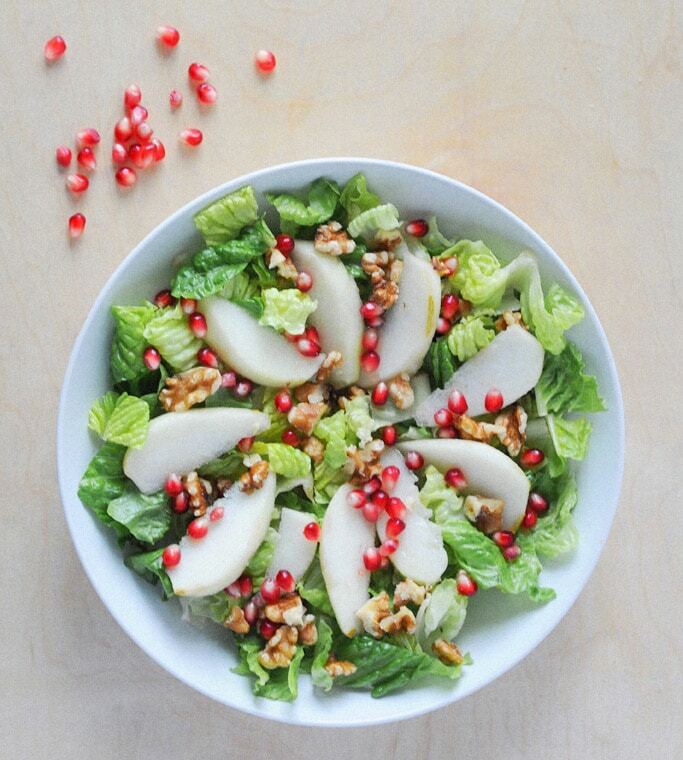 Arrange lettuce in bowl first then top with pears, walnuts and pomegranate seeds. 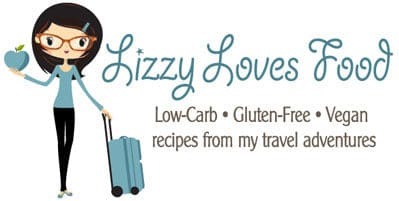 Whisk together the garlic, mustard, vinegar, lemon juice, honey, salt, and pepper in a large bowl. Slowly whisk in the olive oil until the dressing is emulsified. 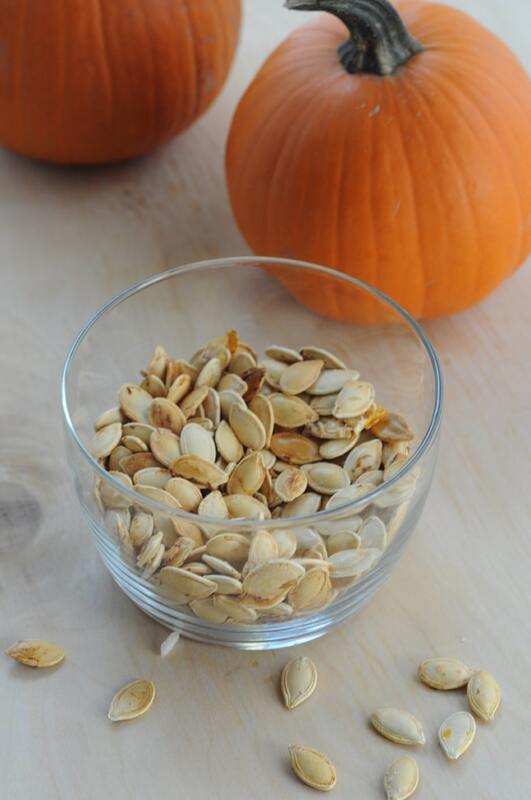 You can combine all the ingredients in a blender or a food processor and mix until smooth. Pour desired amount on top of your salad. Enjoy!